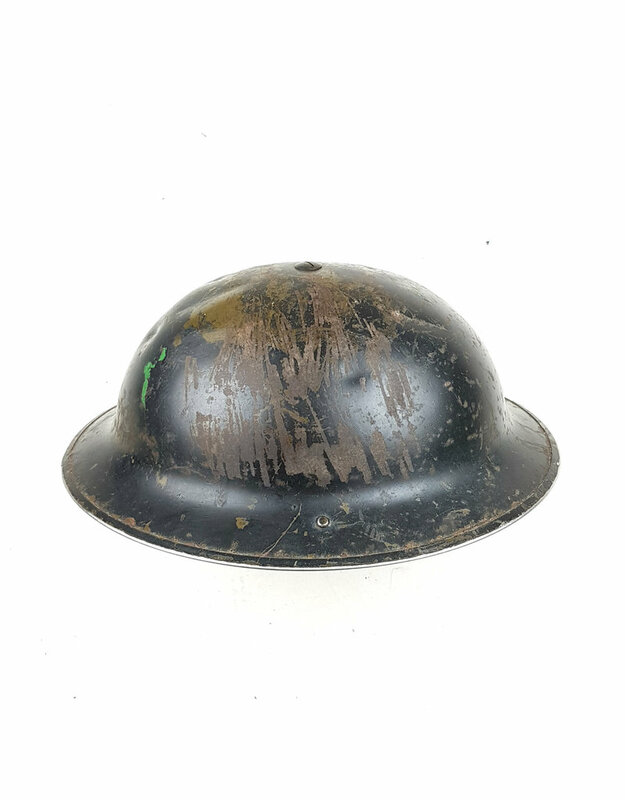 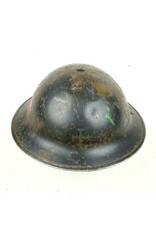 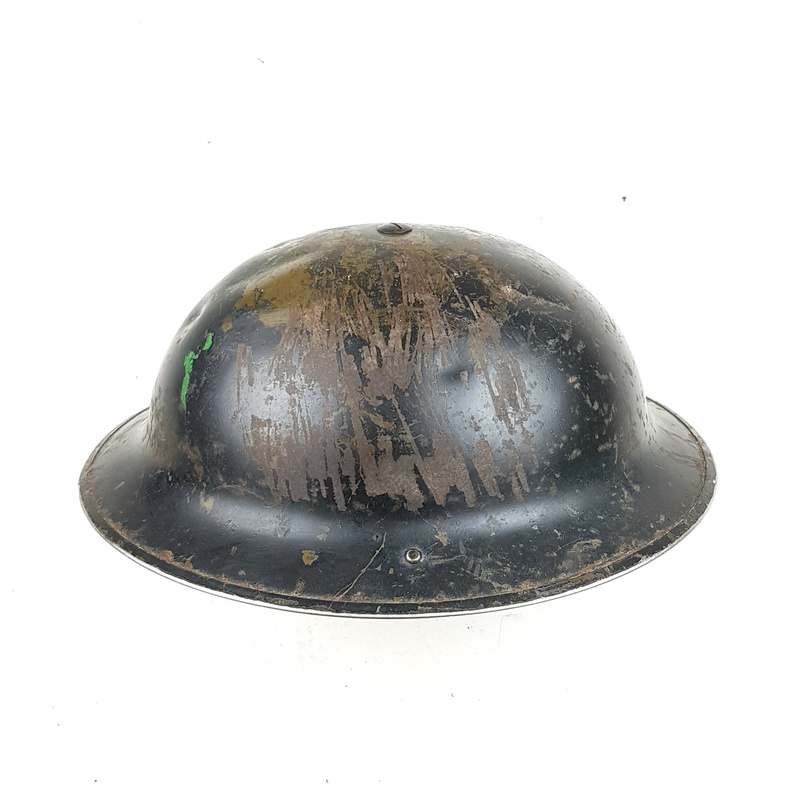 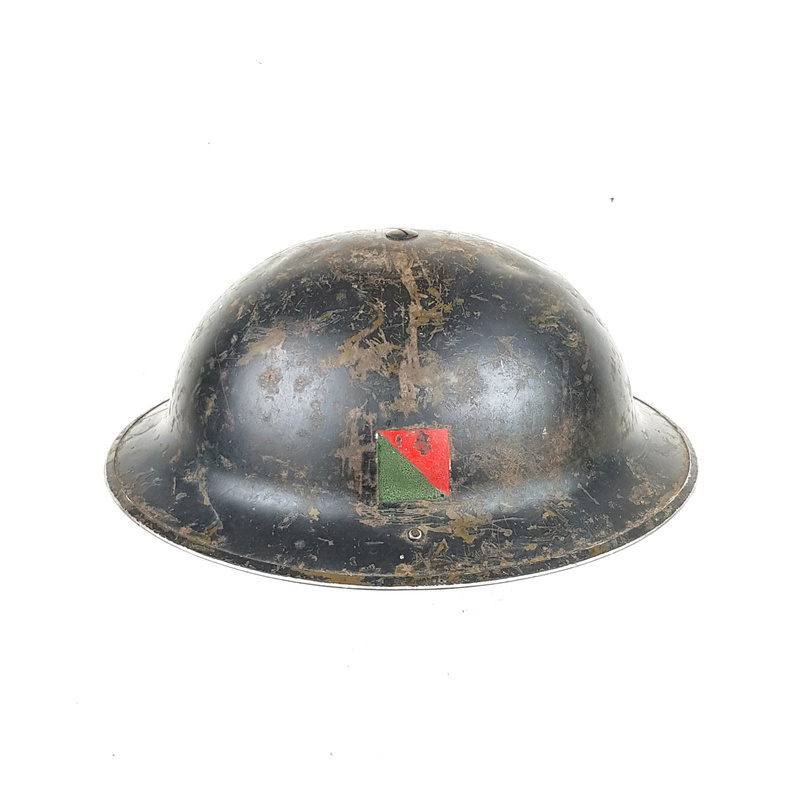 Original Canadian helmet with decal of the Royal Canadian Army Service Corps. 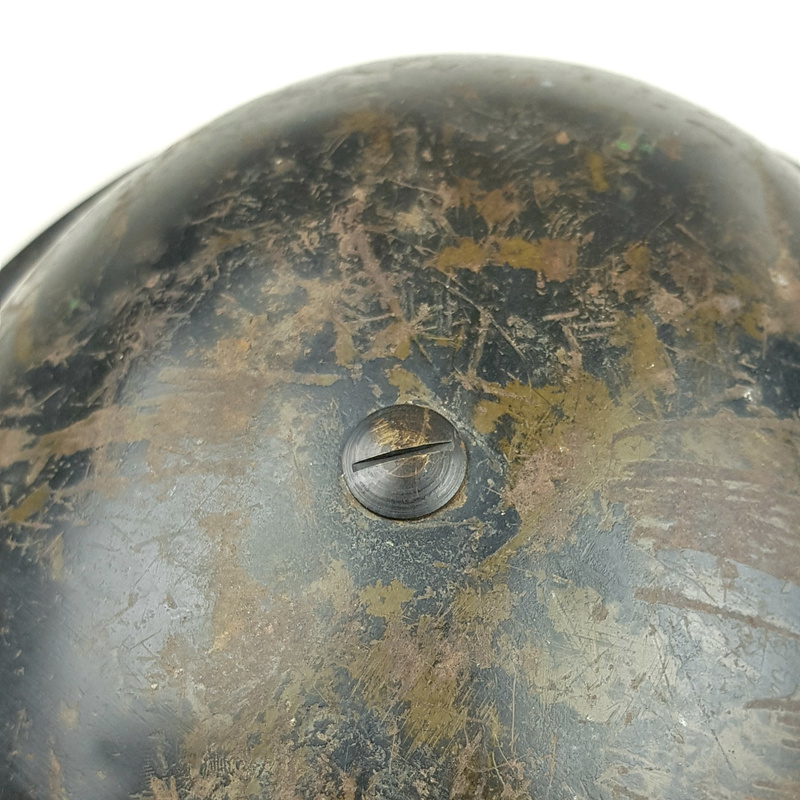 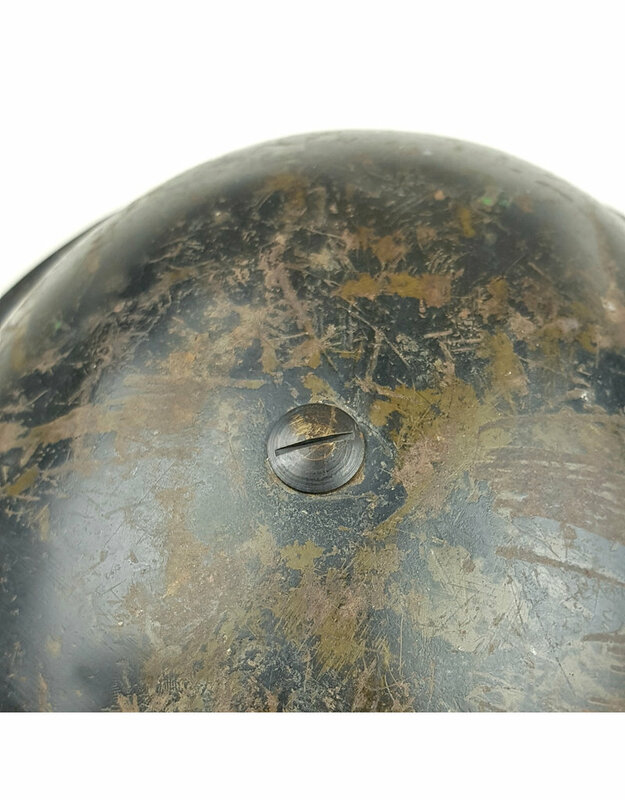 The helmet has never been cleaned and was found in Normandy! 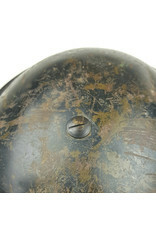 The liner is in good condition and intact, the shell has a dark coloured finish. 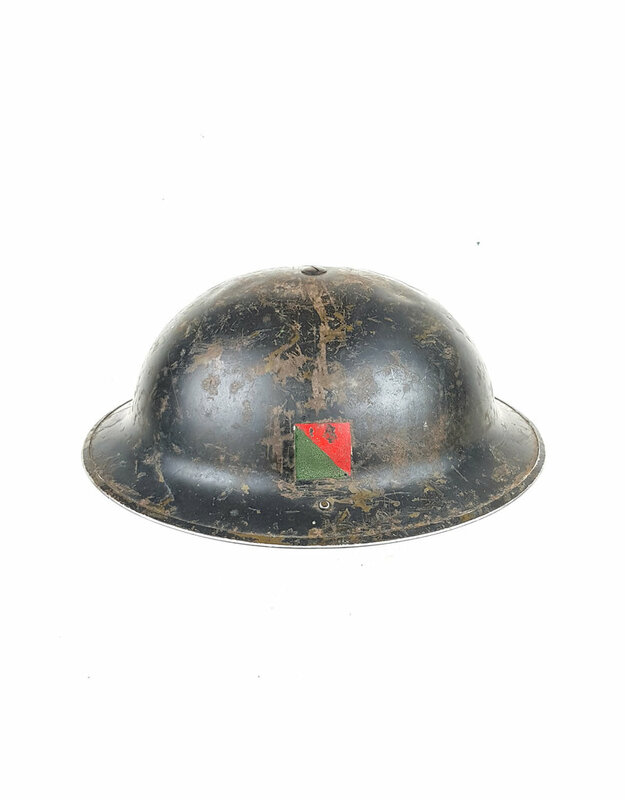 The chin strap is not present. 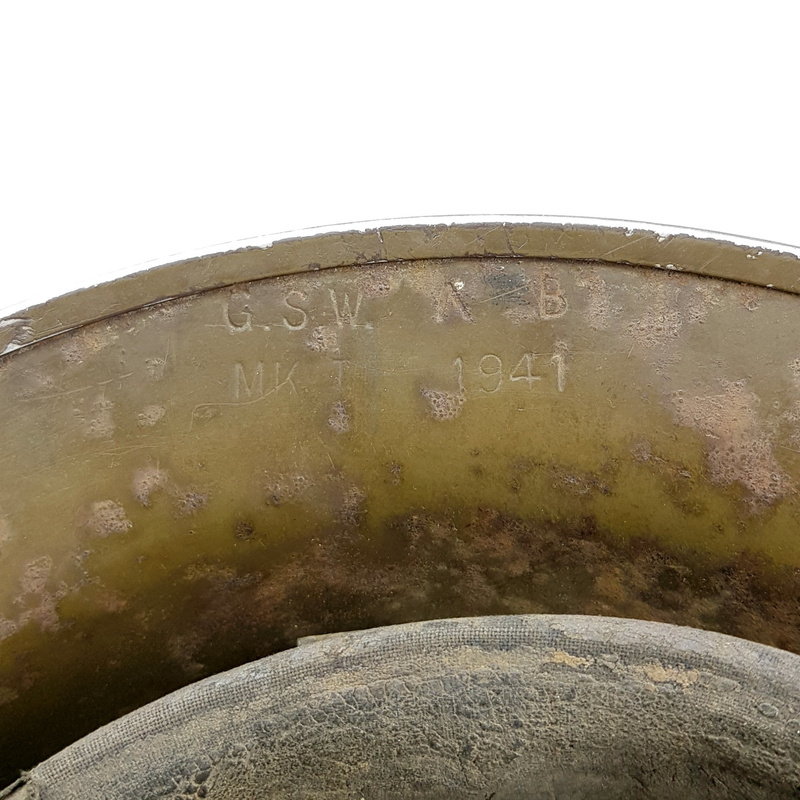 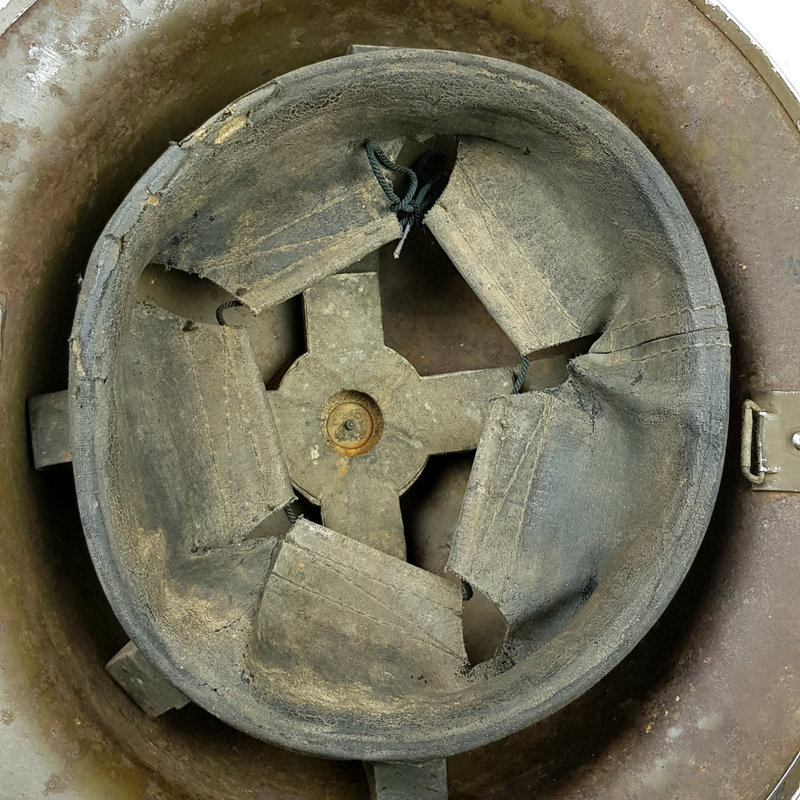 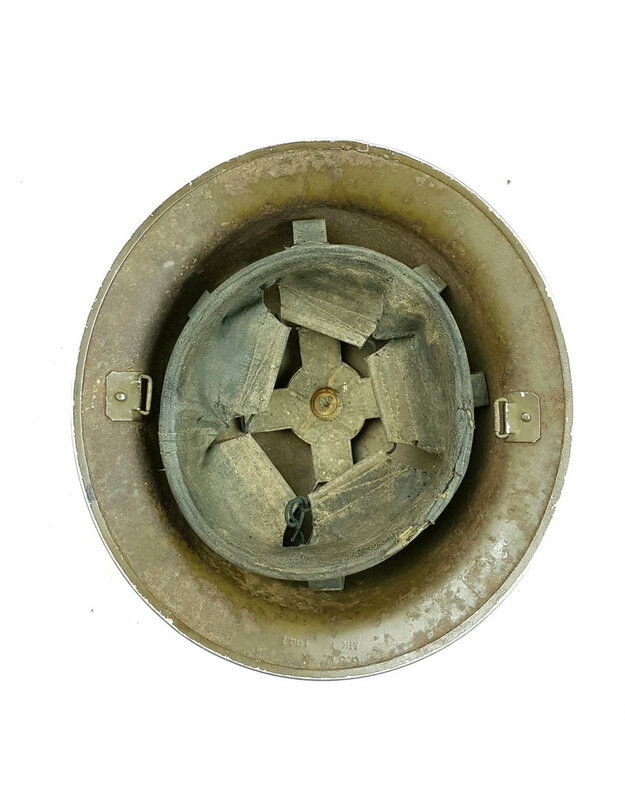 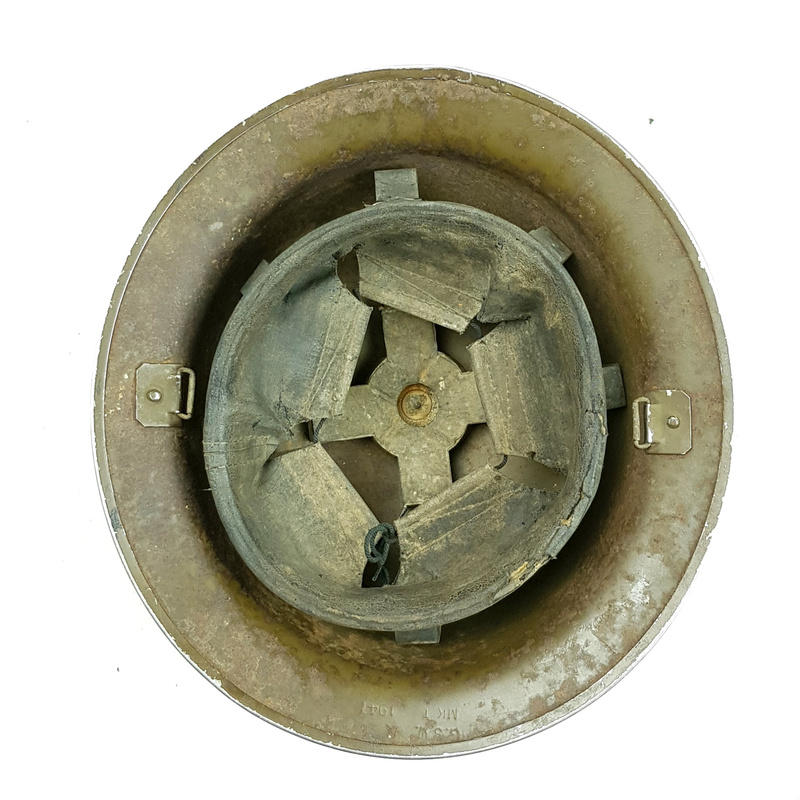 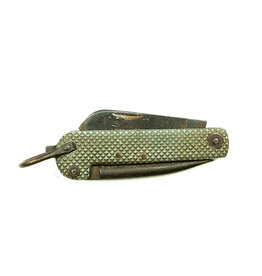 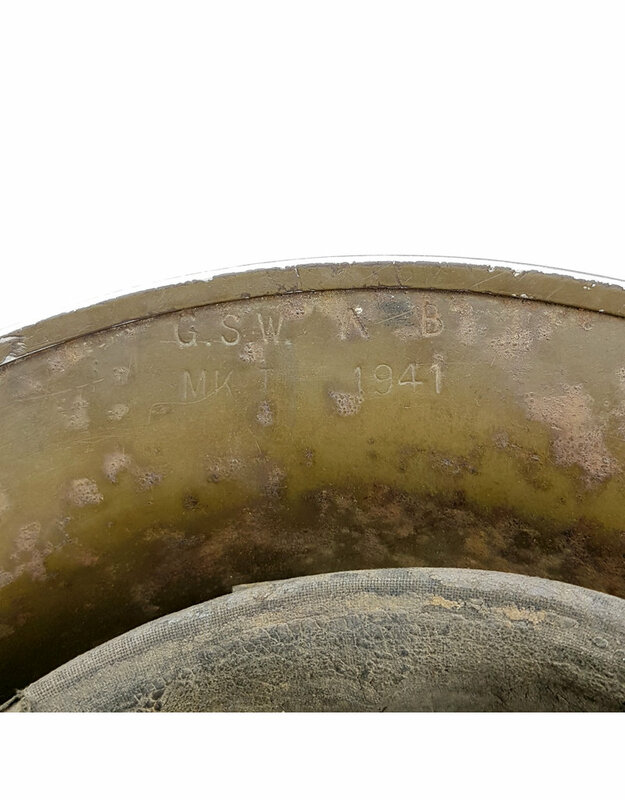 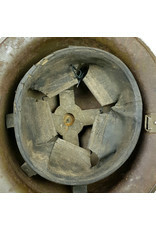 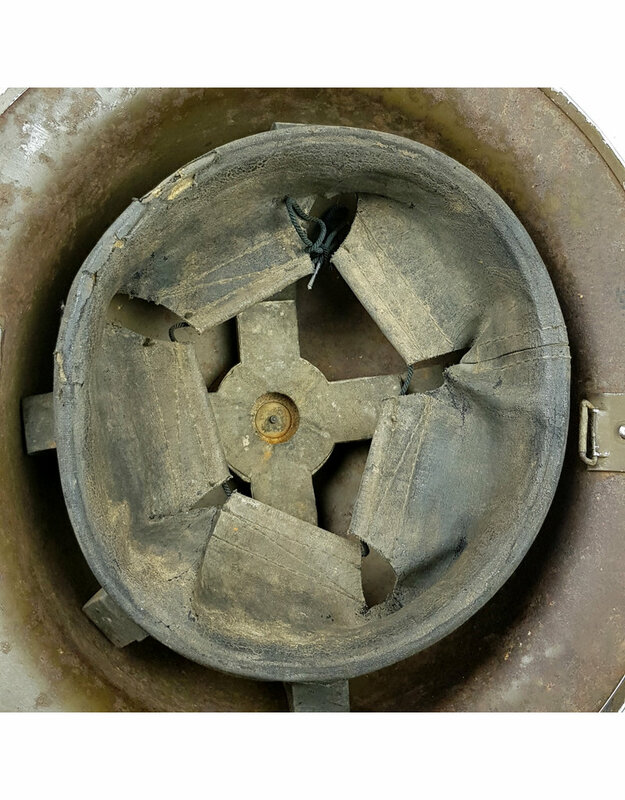 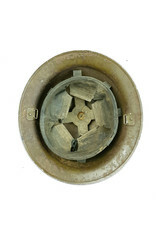 The shell is maker marked GSW 'General Steel Wear', dated from 1941. 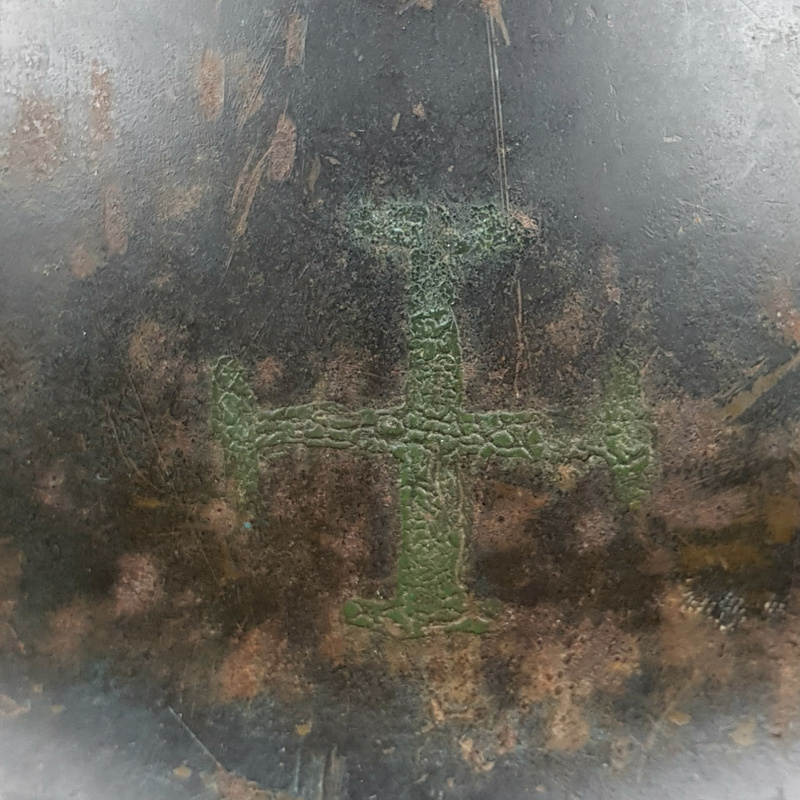 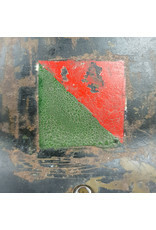 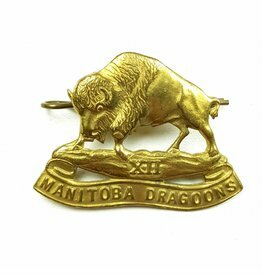 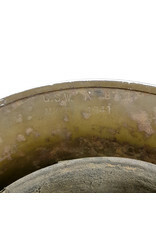 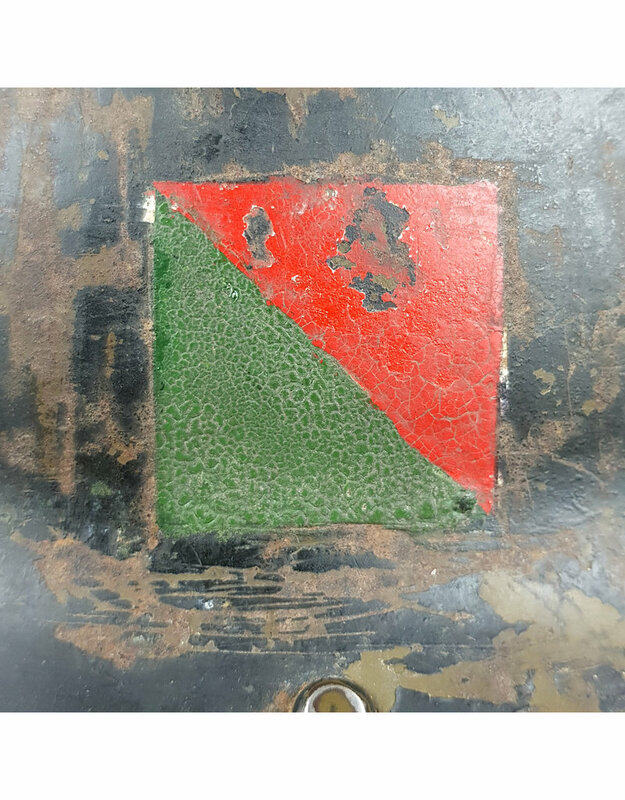 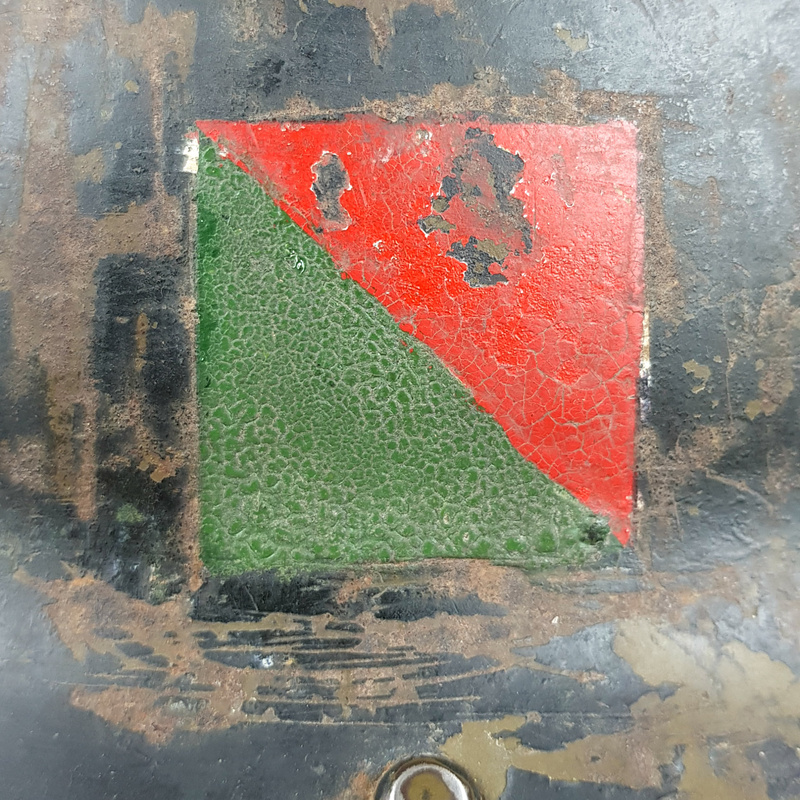 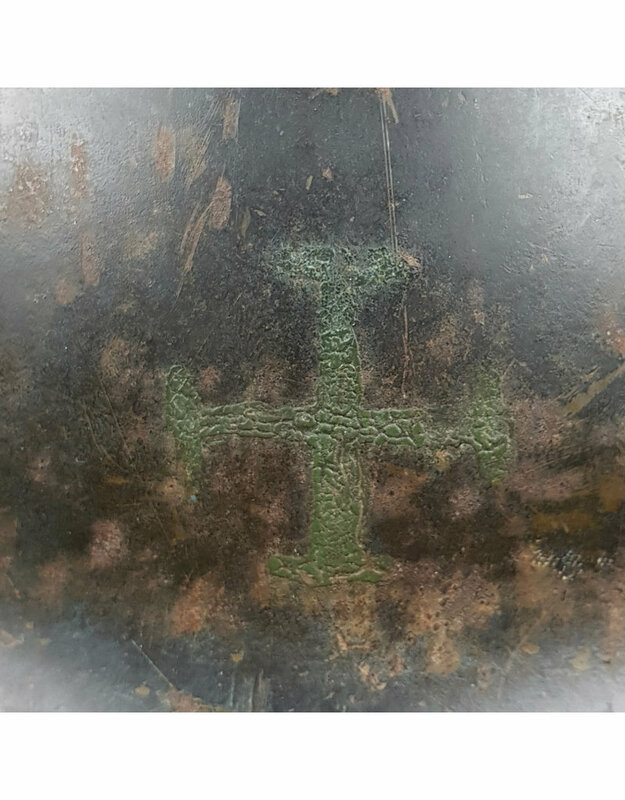 The decal of the Royal Canadian Army Service Corps is in good condition, showing traces to users. 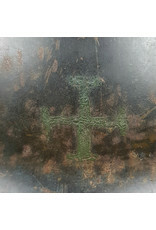 The helmet has a green cross on the front. 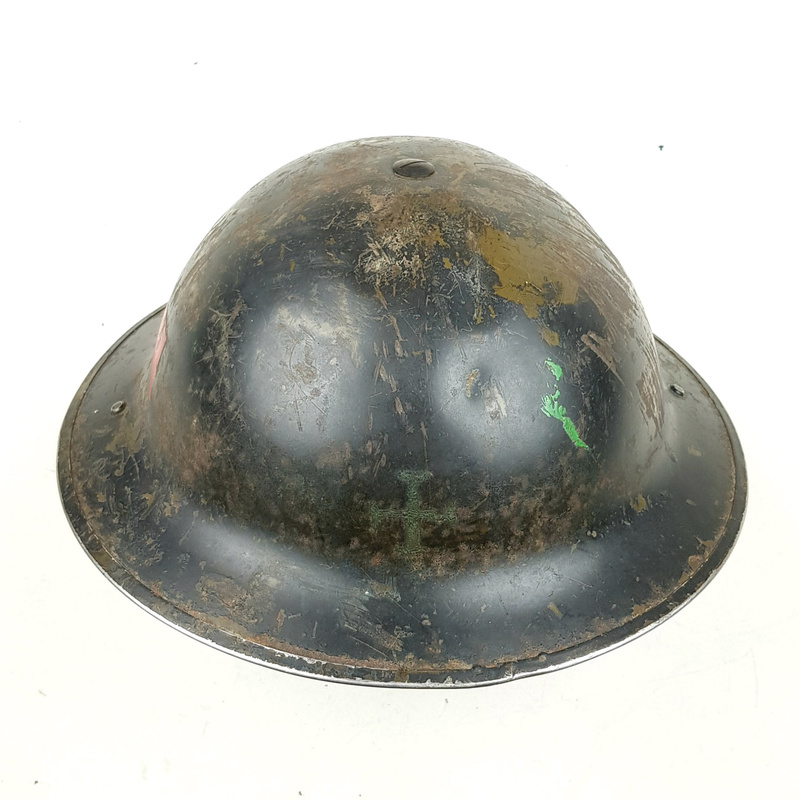 Canadian helmets with decal are hard to find.